Dr. Mark Mandell-Brown is a triple board-certified plastic surgeon known for his “NATURAL LOOK,” and is nationally recognized for face and body cosmetic surgery. 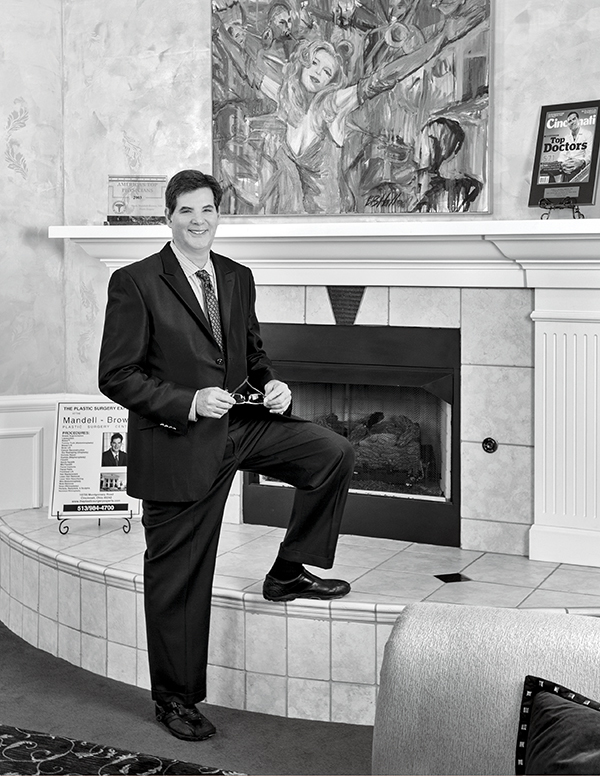 Being named “Top Plastic Surgeon” in the readers poll of CityBeat and “Top Doc” in rhinoplasty and breast augmentation year after year by tri-state physicians is a testimony to his expertise. Yet, patients find him easily approachable with a warm, friendly manner. A gifted surgeon and superb teacher, Dr. Mandell-Brown is an international speaker and teacher in the field of cosmetic surgery. He has directed liposuction, breast augmentation, and abdominoplasty workshops at his surgery center, attended by doctors from throughout the United States, Australia, Canada, and England. The Mandell-Brown Plastic Surgery Center has the amenities of a hospital but the privacy of a surgery center and has twice earned awards for being the most beautiful building/landscaping in Montgomery. The facility is accredited by AAAHC, the most respected organization for establishing surgery center standards. Who says you can’t have it all!